Barry Ostrager has announced that multiple graded stakes-winning millionaire Camelot Kitten will join the 2019 stallion roster at Questroyal North in Stillwater, N.Y., where he will become the first son of perennial leading sire Kitten's Joy to stand in the Empire State. The 6-year-old Camelot Kitten is owned by his breeders, Kenneth L. and Sarah K. Ramsey, and will stand as their property for an advertised fee of $5,000, live foal. The Ramseys have been in the top 10 on the North American leading owners' list every year since 2009, and topped the list three times. Camelot Kitten won six races, five of them stakes, and finished second three times, including two graded stakes, while earning $1,068,977. 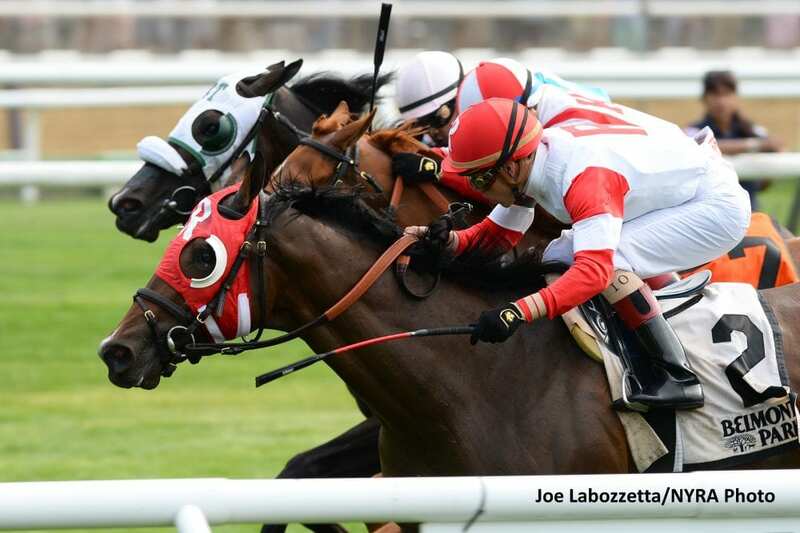 He broke his maiden at Belmont Park in his 2-year-old debut, and his first stakes victory came at age three in the Grade 2 American Turf Stakes at Churchill Downs. Four weeks later, he captured the G3 Pennine Ridge Stakes at Belmont, followed by a score in the G2 National Museum of Racing Hall of Fame Stakes at Saratoga. He then won the G3 Hill Prince Stakes at Belmont, capping a sophomore season in which his exceptional stretch prowess accounted for four graded stakes. Camelot Kitten has four full brothers, all winners, out of the Forestry mare Celestial Woods, including multiple graded stakes-winner Bobby's Kitten. Now eight, he won the Breeders' Cup Turf Sprint and was third in the Breeders' Cup Juvenile Turf, earning $1,389,417. He stands in England for 12,500 euros and his first foals are yearlings of 2019. He is a shuttle stallion and is the first son of Kitten's Joy to stand in Australia. Three other sons of Kitten's Joy will be standing for the first time in 2019. Roaring Lion has joined the stallion ranks for Qatar Racing at Tweenhills Stud. He's a four-time Group 1 winner with earnings of $3.57 million. Oscar Performance, a seven-time graded stakes-winner who earned $2.34 million, will stand at Mill Ridge Farm in Lexington, Ky., for $20,000, and Hawkbill, champion 3-year-old in England and six-time group stakes winner, will stand at Dalham Stud in Newmarket for 7,500 euros. Kitten's Joy was the leading sire in North America in 2018, the second time he has reached the top spot in the last six years. He was in the top five in the other four seasons, finishing third in 2014 and 2015, fifth in 2016, and third in 2017. In the season that just concluded, Kitten's Joy set a personal record of more than $18.6 million in progeny earnings. He has reached nearly $97 million in career earnings, has been the number-one turf sire for the last six years, and is the number-one sire by average number of stakes-winners per year (19) for five. His runners have won nearly 2,100 races and averaged more than $100,000 per starter. He wound up 2018 in second place on the general sire list with 177 winners, just three behind the leader, and was first with 80 repeat winners. He's just nine away from 100 black-type winners and has 174 registered 2-year-olds. Kitten's Joy stands in Kentucky for $75,000 live foal. This entry was posted in Bloodstock and tagged 2019 stud fees, camelot kitten, ken and sarah ramsey, questroyal north, Stallion Retirement by Press Release. Bookmark the permalink.